After a comprehensive and detailed review of TABMA’s financial performance at the last board meeting, the directors agreed that a new strategic plan was required to ensure the association’s long-term financial security and lay a platform for better service to members in the future. Mr Little’s short-term objective is to review the significant commercial operations of TABMA, which include two group training organisations and a registered training organisation. He will also review the association’s overall structure and operations, which are member services and member representation, with a view to make TABMA more relevant as a peak national body for the pre-fabrication and building materials sector. Mr Little will report back directly through the chairman of the board with his findings before a board meeting in May 2019. The board will then be in a better position to formulate a short and long-term strategy and establish a policy to both secure TABMA financially and better serve its members. 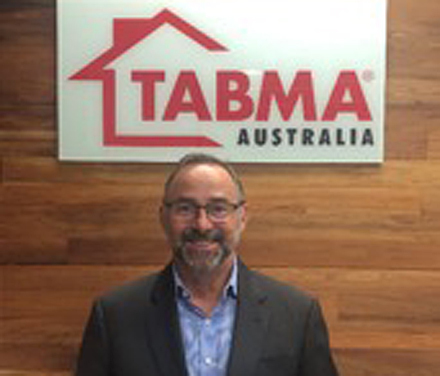 The board praised Mr Fitzpatrick’s 10 years-plus service, including his work on TABMA’s apprentices and trainees program which developed into Australia’s largest timber and forestry group training organisation.